This week we have been having fun with spiders and witches as part of our Halloween Move & Create series. Last week was all about pumpkins! 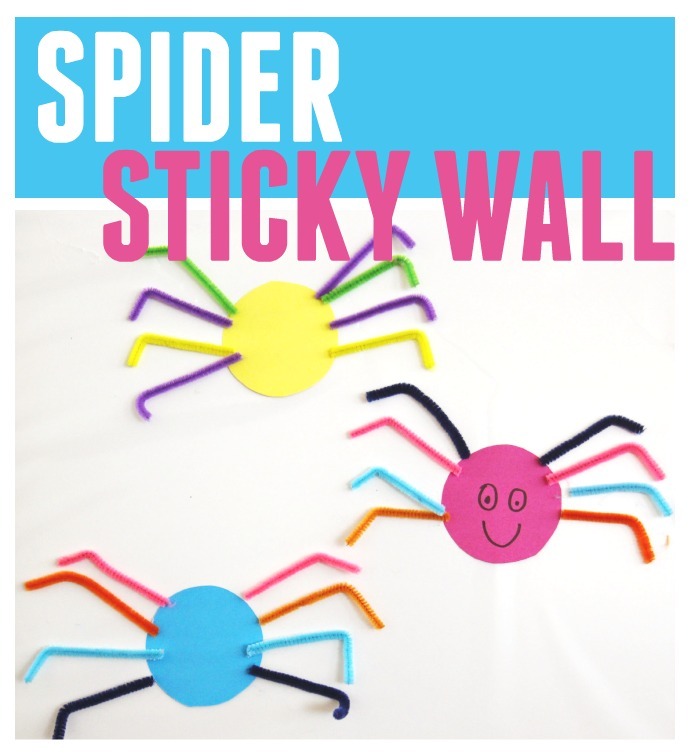 We love making sticky walls so we decided to put together a spider themed sticky wall! This was such a fun sensory activity for my toddler. 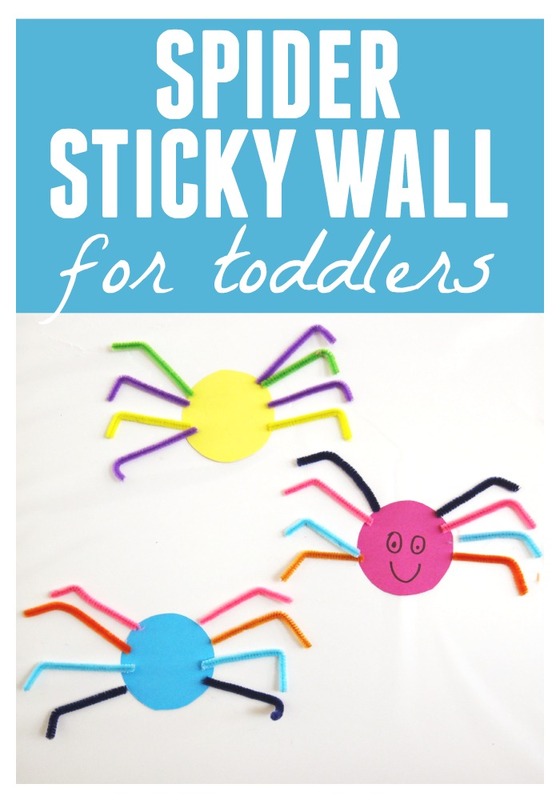 This spider sticky wall activity requires very little materials and is super simple. To get started you want to cut a large piece of contact paper off the roll and then peel off the backing and tape the contact paper onto the wall, sticky side out. I usually like to tape all four sides to help secure it. After the contact paper is secured, cut out circles from cardstocky and your child can stick them on the wall. Add eyes or other features with markers if you would like. Lastly, cut pipe cleaners in half and add them to the sticky wall. 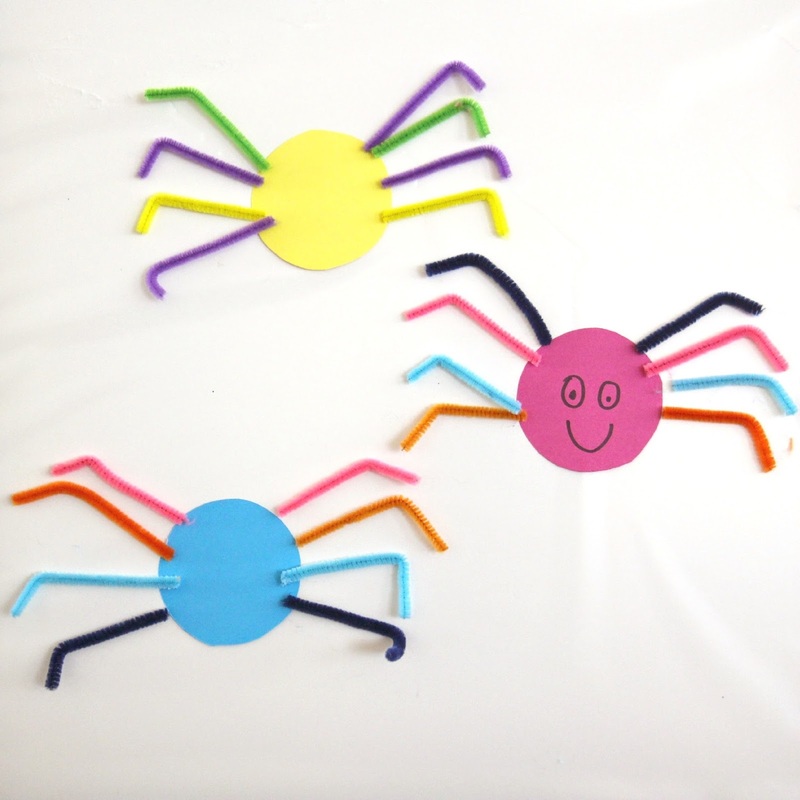 Have your child use the pipe cleaners and cardstock circles to build spiders. Spiders had 8 legs, so make sure you give your child enough legs! My kids had fun experimenting with the legs and moving them around to silly places. They also loved designing faces on the spiders. Bending the pipe cleaners is also fun and can make the spiders seem taller or shorter. Sticky walls are so much fun for toddlers because they love exploring sticky paper and testing out new materials on it. If your child is really interested in the sticky part of the paper, let them explore and touch often in order to check it out. Add materials as the child seems ready for them. Sensory stimulation is linked to emotional, cognitive and physical development. Giving kids ample opportunities to explore different textures and materials is really helpful to development! Have you ever used a sticky wall before? Come back tomorrow to see what is next in our Spider & Witches week! !